The post Blueberries Might Prevent Alzheimer’s appeared first on HTV. 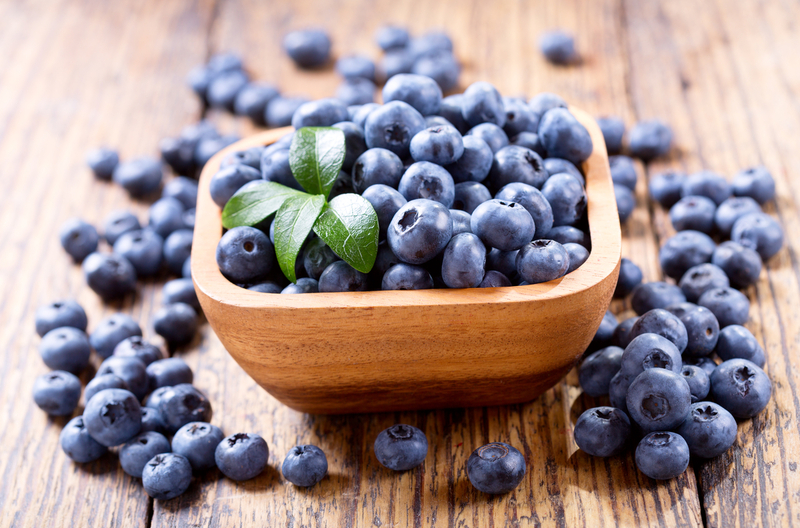 As a superfood already prized for its antioxidant properties, new American research has now highlighted the benefits of blueberries on memory and cognitive function. This wonder berry could help combat the devastating effects of forms of dementia such as Alzheimer’s disease. Already known for their potential to cut the risk of cancer and protect the heart, blueberries have now been studied for their effects on brain aging. Previous studies have shown that daily consumption of the fruit can reduce blood pressure in just eight weeks. As for the brain, a study published in April 2013 found that the polyphenols contained in blueberries encourage autophagy, the cellular self-cleaning process removing toxic proteins that build up in the brain. This latest study monitored 47 American adults aged 68 and older with mild cognitive impairment. Over a period of 16 weeks, researchers from the University of Cincinnati, USA, gave participants either freeze-dried blueberry powder, equivalent to a cup of berries, or a placebo powder once a day. Those given blueberry powder saw their memory improve, with better access to words and concepts. An MRI scan (magnetic resonance imaging) of the brain showed more intense brain activity in this group of participants compared with those given the placebo. A second experiment focused on 94 people, aged 62 to 80, who subjectively felt that their memories were declining, although they did not have any objectively measured cognitive issues. These participants were split into four groups and given either blueberry powder, fish oil, fish oil and powder or a placebo. The second study found a certain degree of improvement in cognitive function in those given blueberry powder or fish oil. However, there was no improvement in memory and the MRI scan showed little specific increase in activity. From the two experiments, the study’s authors conclude that eating blueberries can be beneficial when a cognitive impairment is already established. “Blueberries may be more effective in treating patients with cognitive impairments, but may not show measurable benefit for those with minor memory issues or who have not yet developed cognitive problems,” explains Dr Krikorian, who led the team of researchers. Finally, the scientists plan to carry out a similar experiment on younger people, aged 50 to 65, at risk of developing Alzheimer’s (risk factors include obesity, high blood pressure, high cholesterol) to determine whether blueberries can help prevent the onset of Alzheimer’s symptoms. Alzheimer’s disease is a neurodegenerative disorder that causes the progressive and irreversible destruction of neurons. Currently, 5.3 million Americans are affected by the disease, but this could rise by 40 per cent to 7 million by 2025 and triple by 2050, according to the USA’s Alzheimer’s association.